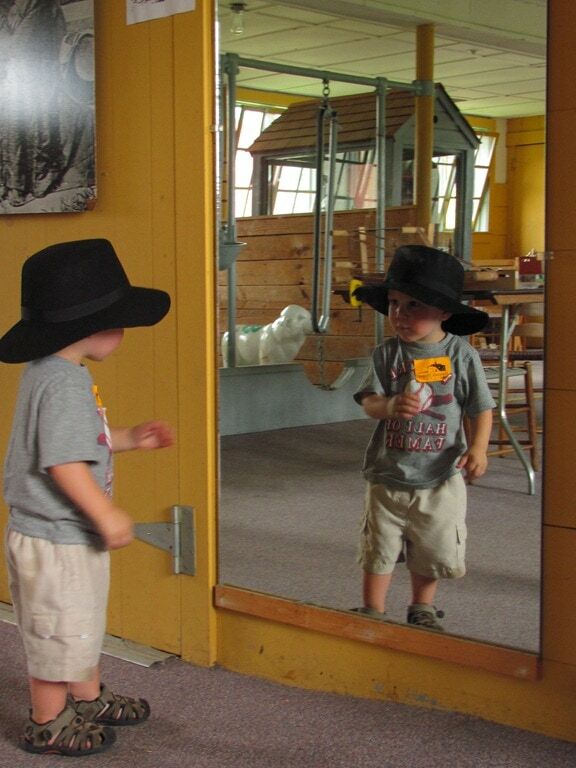 Looking for a way to explore the outdoors, learn about a movement with a hard work ethic and interesting social structure and all while giving your kids the chance to learn through play areas and roam through a round barn? 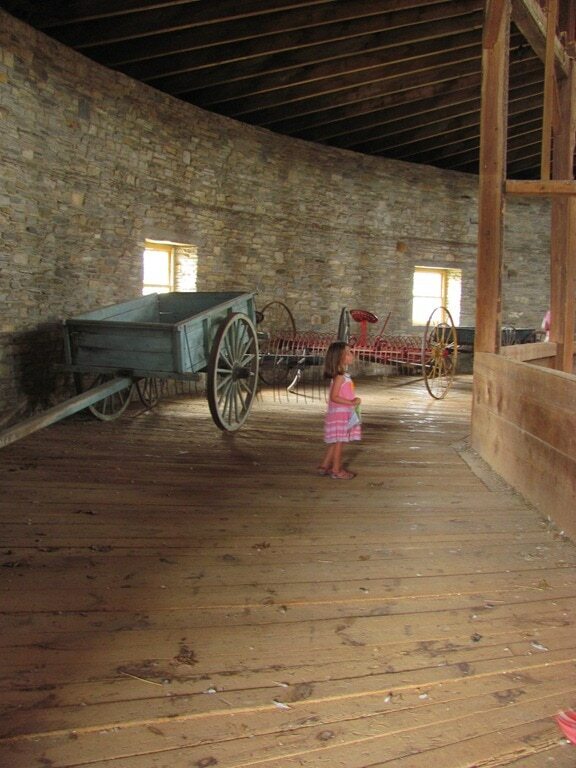 Then visit the Hancock Shaker Village – an interesting day trip located just 45 minutes from the Capital District in the beautiful Berkshires. At a time when many of us are trying to live a more sustainable life, accomplish gender equality and find a sense of community, the Shakers mastered these skills decades earlier. The Hancock Shaker Village is beautifully preserved and restored to provide visitors with a unique experience of learning about the Shaker way of life while exploring the architecture and historic buildings that make this community so special. 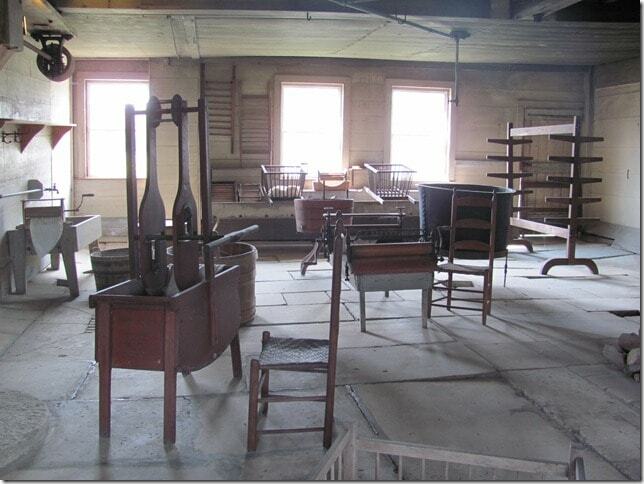 The Shaker religion began in England in the mid-18th century and quickly found its way to the United States. Women were encouraged to take on leadership roles in the community and played a more equal role in the community than seen in many circles today. 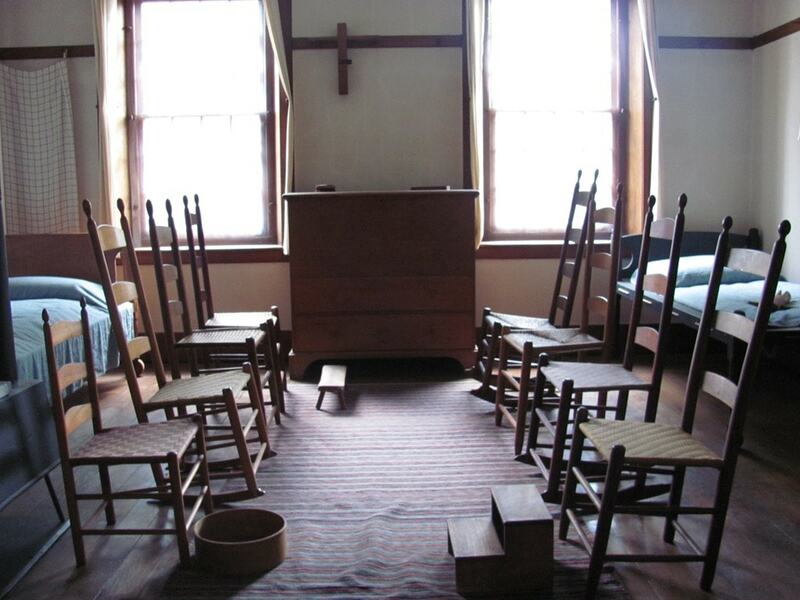 The Shakers believed in a strict life of celibacy and men and women lived in separate dormitory styled buildings but would get together for worship or for nightly gatherings. 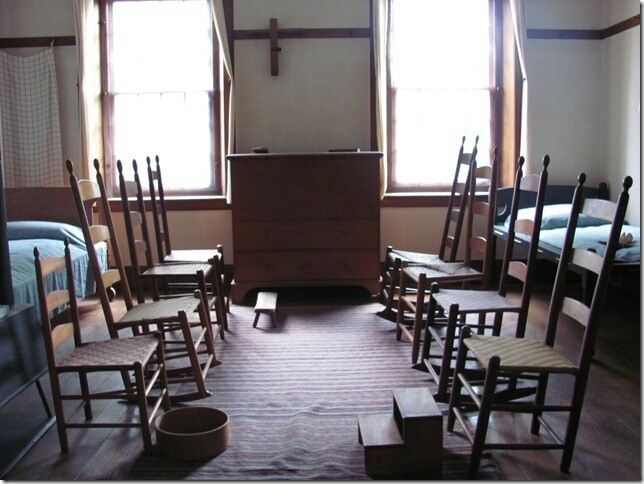 Membership into the Shaker community required those married had to cease living as a couple. Children were raised in a communal setting by a caretaker and new members were often orphans or families coming into the community. The Hancock Shaker Community was founded in 1791 by a local family. At its peak, the Village covered over 3,000 acres but now occupies about 1,200 acres of farm, meadows, hiking trails and twenty historic building dating back to 1790. We recently spent a good part of a day exploring the Hancock Shaker Village site. Visitors are first welcomed with a top notch welcome center and short film on the history of the Shakers and Hancock, and nearby New Lebanon, sites. 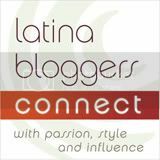 Tip: For a small fee ($2) you can take an audio tour of the site. As you exit the Visitor’s Center you are immediately greeted by the amazing floral smells of the flower, herb and vegetable gardens that sit as a base to the village. The gardens are well thought out and provide vegetables as part of a Community Supported Agriculture (CSA) program for area residents. Kids can run around freely and enter the various buildings at will. The laundry, ironing and machine shop provide a glimpse of the machinery needed to keep over 100 people in clean clothes. Shakers rotated the daily jobs around the village in order to avoid getting bored with the same chores. The Shakers developed a wrinkle resistant and water repellant fabric in the 19th century that treated the fabric with zinc chloride. Interesting note, later in the 19th century the Shakers decided to remove all headstones from the Village cemetery as they did not want anyone to stand out and truly be equals – even in death. 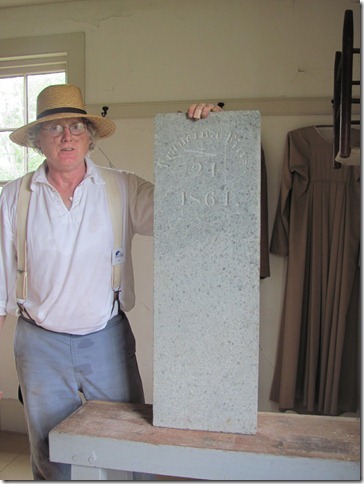 These headstones were used in the ironing shop as a board and can still be found today. The brick dwelling provided residential space for 100 individuals at the Village’s peak. When exploring the building, visitors get a glimpse of what a typical living situation was like for men, women and children. I found the kitchen space the most fascinating because of the sheer volume of people it had to feed and the efficient methods used to simplify the daily tasks. The Shakers had two main ovens that were able to cook foods at four different heat settings. Pretty impressive for the time! Located at the far end of the village, and conveniently located near the SoCo Ice Cream shop, is the Discovery Room. This space is great for kids who need a break from the outdoors and just want to play for a bit. Inside, we found teen volunteers helping kids with bracelet making and other crafts. The Bean got to test out “milking” a life size replica of a dairy cow. The Discovery Room has a series of areas where kids can let loose and explore various toy animals, dressing up Shaker style, coloring, exploring a small library of books and glimpsing at bee hives. I really appreciated that the Museum took the time to dedicate an entire space just for small children. 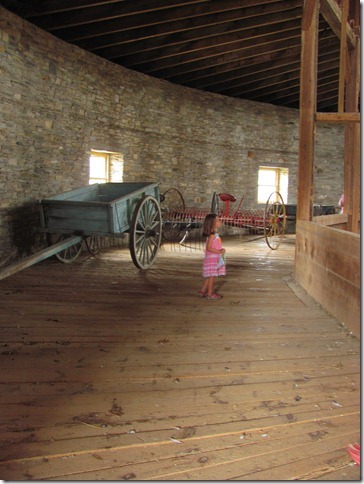 Another very fun area for kids is the famous round barn. Built to provide the most efficient use of space, the stone barn is a marvel to see as are the goats, pigs, cows and sheep that are still cared for in the rear section of the barn. My last super kid destination at the Village is the school room. Symmetric rows of desks face one another with chalkboards at each spot for kids to pretend they’re in school. My kids loved this! Tip: Plan ahead and inquire about the kids walking tours of the Village. 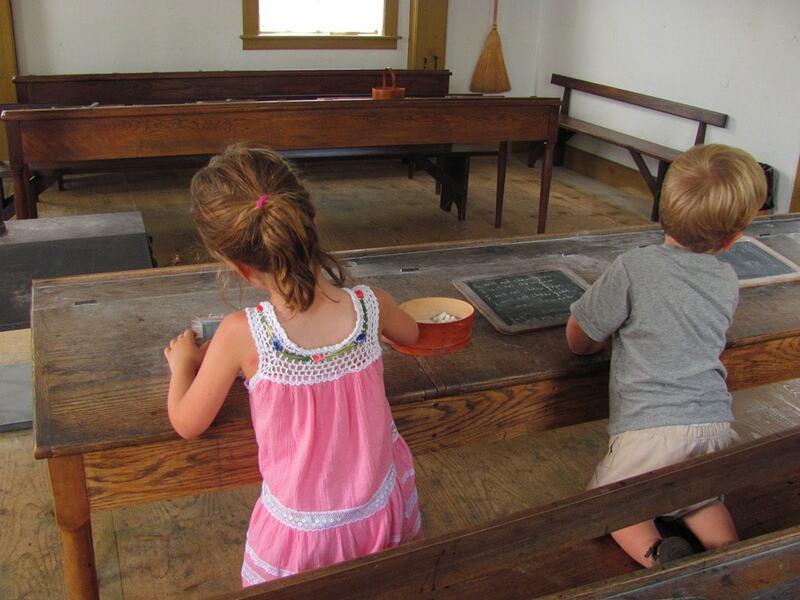 This is a unique experience, probably geared more for kids over the age of 7 but again, one of the many ways the Hancock Shaker Village is an ideal afternoon getaway for families. Everything about the Shaker religious movement stemmed from a desire to live a life of true community through working hard and self sustainment while developing new efficient means to do so. The Hancock Shaker Village staff take great pride in providing visitors an educational, and very much visual, experience about the lives of this near extinct culture. 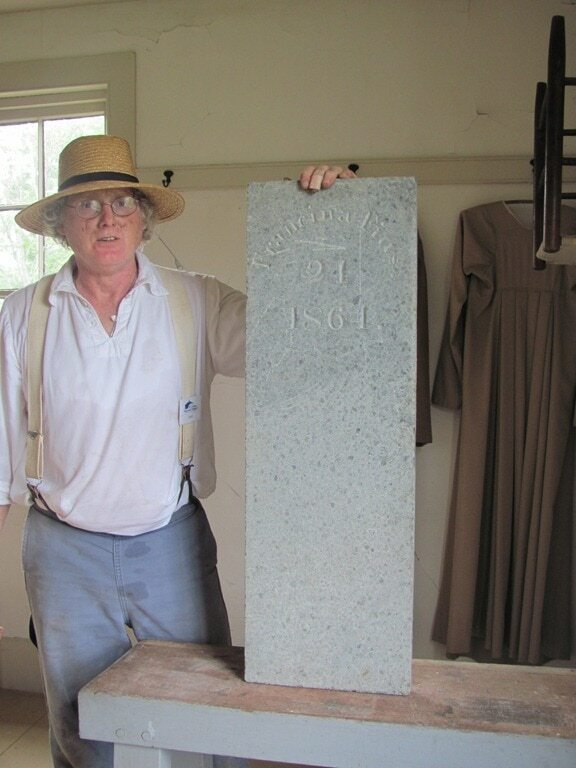 Today the only remaining Shakers live in a very community in Maine. For adults, I would highly recommend watching the Ken Burns documentary The Shakers prior to visiting to get a full history and greater understanding for the culture. For kids, I had a tough time finding books prior to our visit but the Discovery Room had some great children’s books. My favorites were Shaker Hearts best for kids five and up and A Peaceable Kingdom: the Shaker Abecedarius. 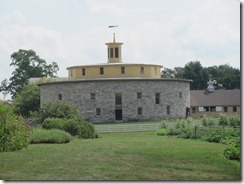 A special thank you to the Berkshire Visitors Bureau and the Hancock Shaker Village for providing complimentary admission.